What do you do when you need to edit the invoice locked inside a PDF? How to convert it back to an Excel format? In the second decade of the 21st century, the world has never been this digital. So many aspects of our lives are now intertwined with technology, and there is no end in sight to the rise of this trend. One area of our existence that is most affected by technology is our work, and for the people who have embraced tech, it has decreased the amount of work and time needed in many different fields. Of course, people are still working hard, but some things are just a bit easier to do. Let’s take data management and analysis, and in particular, MS Excel. This program is used by so many different business professionals, from accountants and bookkeepers, to lawyers and scholars, and so many others. This excellent software is used differently in every one of these professions, but it is effective in all because its advanced formulas and operations are perfect for calculating and preparing almost any type of data report and document – tax reports, invoices, budgets and projections, etc. The main problem with Excel files becomes evident when sharing and sending XLS files to other people. For example, if the Excel file was created on a computer that is using a Windows operating system, and was sent to one that is using Macintosh (and vice versa), there’s a big chance the the file won’t open properly, and the user that received the file won’t be able to view it. This is why Excel files should always be converted to PDF format before sending (an option that can be done in Excel itself), because PDFs can be viewed an all operating platforms with unchanged formatting. But as most great things, the PDFs also have a tricky part, and their “Achilles’ heel” is the fact that PDFs are read-only files, which means they cannot be edited without the use of specialised software or tools. 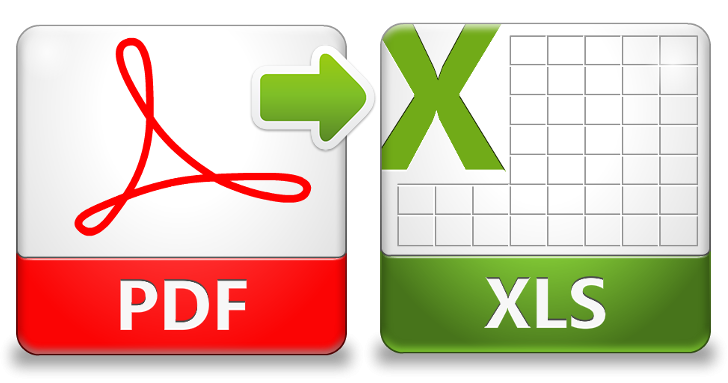 A good illustration of this problem goes like this: A colleague has sent you a very important invoice that you need to edit, but you are unable to do it because it is locked inside a PDF, and you need to convert it back to an Excel format (XLS) before you can change anything within it. So what can be done? 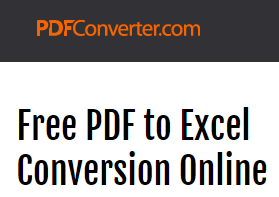 A great way to overcome this issue is using PDF Converter’s PDF to Excel online tool. 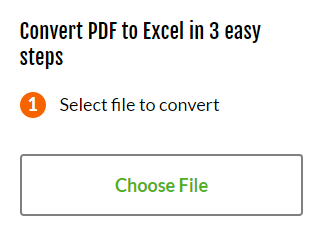 It is a completely free and powerful conversion tool where you can get your PDF file transformed back to Excel in three very simple steps, and continue with your work in a moment’s notice. The first step is selecting a PDF file from your hard drive that you want to convert. 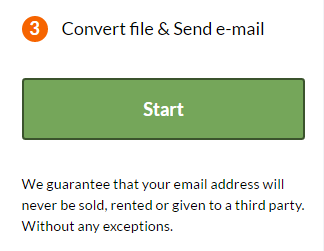 The next step is typing the email address where you want to receive the link to the converted file (once the conversion is finished). The third and final move is pressing the “Start” button, after which the conversion process will commence. It is important to mention that all user data is absolutely protected, and kept on PDF Converter’s servers only for 24 hours, to give enough time to users to obtain their document. Hopefully this article has shed some light on the weaknesses of using Excel and PDF, and with this new insight you’ll be able to wrestle these issues with more success than before!